How do I add personalization to an email template? In the email template editor, click on the </> which is under Insert tab, which is our field chooser. For information on how to access the template editor, click here. Select the type of personalization you would like to add. User fields will be selected by default. These control what information shows up about the User sending the email. Company fields are your company contact information. Contact fields will let you show information about the recipient in the email. For example, in order to personalize an email, I would select ”contact fields”, then I would select “First Name”. Select the “Type” of field you are inserting. 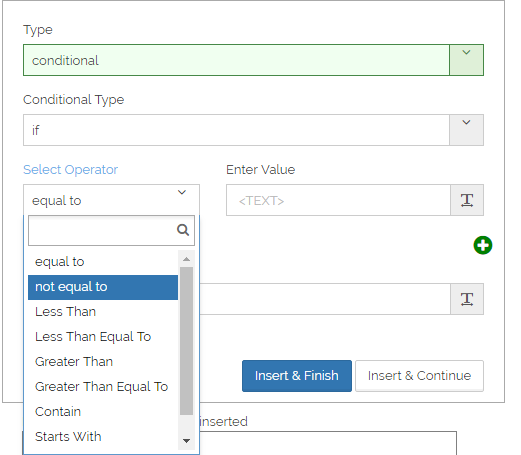 A conditional field will only show certain data if a particular criteria is met. A non-conditional field will just show the data as long as it exists. 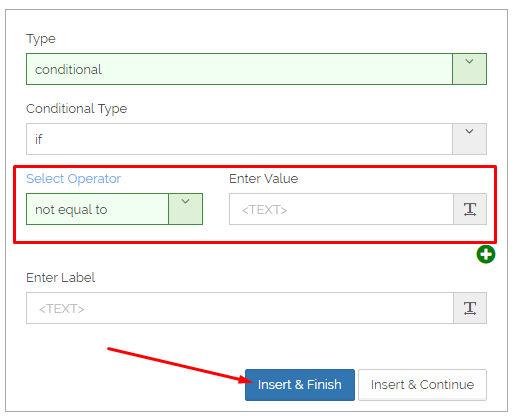 Enter a value or leave the Enter Value field blank. Then click “Insert & Finish” if you’re done. Everything between the two [if] [/if] brackets will be displayed following your rule. In the example above, If the value for a contact’s first name is available in the database, then this email will show “Hi Stacy Smith,” at the top.